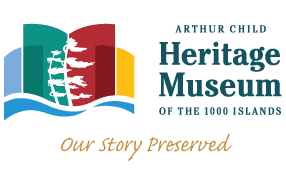 Note: The privacy practices set forth in in this policy are for websites within Thousand Islands Association portfolio. If you link to other third party websites, please review the privacy policies posted at those sites. We are not responsible for how data or information is treated/handled by any third party website that you link to from our site(s). We collect your information in order to record and support your participation in the activities you select. If you register for a course or a free training series, for example, the information is used to enroll you in the program, to enroll you in our newsletters, to track your preferences, and to keep you informed about the product and related products. As a visitor to our site, you can engage in many activities without providing any personal information. If you opt in to receive any free training series, download a free product, register for a webinar, seminar, or live event, or purchase any product sold by us or promoted by us, you will automatically be subscribed to our free newsletter. If you do not wish to receive this free newsletter, you may opt out at any time. We include an unsubscribe link at the bottom of every e-mail we send. If you have any trouble opting out, please send an email to us. We will manually remove you from our e-mail list(s). If you supply us with your contact information you may receive periodic e-mails, mailings or calls from us with information on new products and services, important issues, or upcoming events. If you wish to be removed from any postal, e-mail, phone, or other lists, please let us know by emailing us. Please provide us with your exact name, e-mail address, mailing address, and phone. We will be sure your name is removed from the appropriate lists immediately. The information published on this site is provided for the use of its visitors and you are advised that, although care has been taken to ensure technical and factual accuracy, some errors may occur. No guarantee is given of the accuracy or completeness of information on these pages. 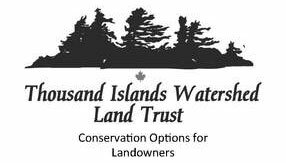 Please be aware that Thousand Islands Association may alter the information on this website from time to time. Thousand Islands Association shall have no liability arising from the use by any party of the information on this website. Supporting other non-profit organizations around the community.